The size is 8.5 inches tall and 5.5 inches wide. It’s 3/4 of an inch thick. 285 pages, 19 of which are color. Are you an organic gardener or want-to-be gardener that’s tired of wondering what you’re doing wrong and what you should be doing? Are you sick and tired of a lot of complicated information and too much to buy? Or maybe you’re a long-time reader of my website, TendingMyGarden.com, and just want the information in one place that gives you a good foundation to success in the garden. Organic Gardening – Cutting Through the Hype to the 3 Keys to Successful Gardening does just that. It cuts through the hype of 4 popular things you don’t have to fuss with unless you want to. And then it gives you the details on the 3 simple keys to successful gardening. 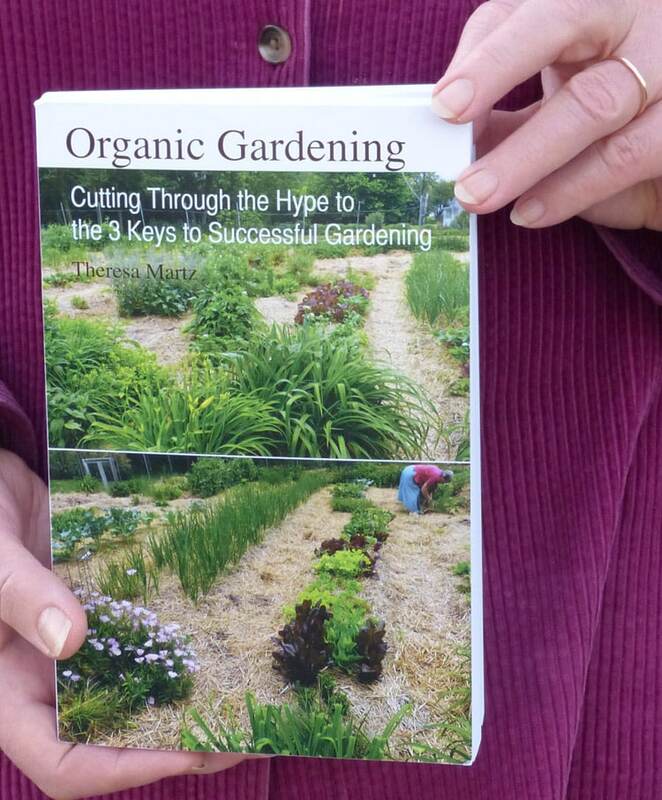 It gives you tried and true advice and the easy way to be successful with organic gardening. It’s the information you need, packaged in a size you can easily carry with you. Order now to make absolutely sure you get your copy. I want you to be successful and there’s no reason you can’t be. The choice is yours!